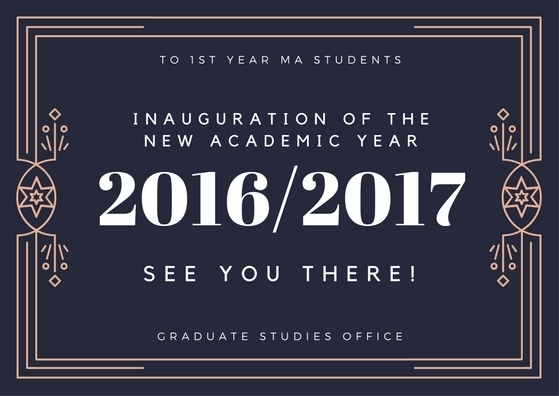 On behalf of Professor Marta Juchnowicz, Dean of Graduate Studies, I would like to kindly invite you to take part in the inauguration ceremony of the new academic year 2016/2017 targeted at 1st year MA students of our university. The ceremony will take place on October 7th at 12:00 in lecture hall I, building C (Al. Niepodległości 128, 00-608 Warsaw).